Since we haven’t been able to rest easy since the brief anatomy ultrasound I had last week, I decided to email my Dr about my concerns. I want to be able to feel confident in this practice and know that they won’t rush through my visits and give me one-size-fits-all care. I felt comfortable forgoing the first trimester testing because I “knew” that the anatomy scan would alert us if there were any major anatomical problems. But since it was the most incomplete experience I can imagine, I don’t feel at all comfortable. If, God forbid, this baby should have any major health problems, I’d want to be prepared so I could have the best plan of care lined up for the pregnancy and birth. I still have my concerns about his heart because it is still skipping beats. A fact that my Dr isn’t aware of because they didn’t so much as listen to him on the ultrasound or doppler. And when I told the dr I saw at my last appointment about my concerns for his heartbeat, she said if it looked like a normal beat on the ultrasound, she wasn’t worried. …… But in order to know that fact, they’d have to actually look and listen, amiright?! So, below is the email I sent. We’ll see if she says anything back. I wanted to email instead of talking at my next appointment because I was afraid I wouldn’t get it all out. And I don’t want to be interrupted, so this works better. I debated on contacting you about this, but my husband and I have talked it over and decided that we are not entirely comfortable with the anatomy ultrasound we had on June 21st. I don’t want to seem in any way to be doubting the practice or the skill of the sonographer. (She was very nice and I really enjoyed chatting with her during the ultrasound.) My only issue is that the ultrasound itself seemed very brief and incomplete. I asked some of my low-risk friends and family members what their anatomy ultrasound was like since I didn’t know if I just have higher expectations because of being managed as high-risk with my previous pregnancies. But the girls I asked confirmed that their anatomy ultrasounds were more detailed like I am used to. For example, I didn’t see any detailed measurements of the heart and other organs aside from baby’s brain. The heart was visulized, yes, but each part was not measured. The heartbeat was not listened to nor was the heartrate measured. The entire ultrasound was around 10 minutes, maybe less, whereas my anatomy ultrasounds in my previous pregnancies took close to an hour to assess each organ and limb and that is also what my friends and family members experienced. Name removed and I feel that we would be much more comfortable with a more detailed ultrasound at some point in the pregnancy since we don’t really feel reassured about baby’s health from this anatomy ultrasound. I really hope I am not coming across as high needs! Like I said, I feel bad to even bring it up. I just know my husband and I will rest much easier if we have a bit more information on baby’s health. We had our anatomy scan and check-up yesterday. It was 5 and a half weeks since our last check-up but I felt like it really flew by! I will say, the whole experience was less than satisfactory and left me really questioning if I chose a good practice. I do really like the Dr that I chose as my primary. But there are 7 Drs to cycle through during the pregnancy and whoever is on call does the delivery. The Dr I had yesterday was just… meh. Friendly enough, for sure, but wasted almost the entire appointment taking about how uncomfortable she is with the whole Lovenox thing. She was one of those who wants to question whether or not she thinks my clotting factors are “serious” enough to treat. And then she was questioning me if I was treated with my previous pregnancies, as if she was just confused about the whole situation. I am just 100% done with that conversation. I really am. It makes me so frustrated to have to continually defend my case. I am so happy that I can now just tell them that my Hematologist is adamant that we are not taking chances, seeing as how I have had abundant proof that I cannot stay pregnant without treatment. That is her department, after-all. And as long as my OB is trained to manage a pregnancy while the mother is taking blood thinner, then they really need to leave the finer details of which clotting disorders “deserve” to be treated, to the Drs who are specifically trained in that area. *Sigh* You may be proud of me though for very firmly stating to this Dr that the birth record from Levi is absolutely wrong. My uterus did not “get tired and stop contracting”. Which would be fine if it had, I mean, no shame in that. Except it’s a lie. I described the hemorrhage experience to the Dr and I must give her full credit for listening and acknowledging that what I was telling her was completely consistent with a hemorrhage resulting from retained placenta. I really appreciated that. I wanted it in my notes so they won’t over-treat me, expecting that I am going to hemorrhage again. I felt pretty comfortable with her ideas on me trying to vbac again as well. So that was another positive. About the anatomy ultrasound itself… this is the part that made me question this practice on a whole. It was less than 10 minutes from start to finish. The sonographer printed a picture at the beginning and the end and the time stamp on them is just 6 minutes apart. She didn’t check the baby’s heart rate at all. Nor did she check the stomach, bladder or do any measurements of the heart (which, maybe that is normal, but with the boys, their hearts were looked at and measured). Basically, we were just there to get a couple keepsake pictures of the baby – That was my impression. No measurement of fluid or really anything at all. I was not told whether baby measured ahead or behind or how long… nothing except he is around 9 ounces. It was just a weird ultrasound. I’ve never had one like it at all. Then after seeing the Dr, I was sent to book my next appointment and even though my primary Dr said we would do monthly growth ultrasounds, following the schedule of my previous pregnancies, the girl booking the appointment seemed really confused. She repeated “Growth ultrasounds?” then she pulled out some chart and looked at it and said “We don’t do those until 28 weeks.” SO, I guess I’ll have to talk to my primary Dr and ask her to please give me a printed and signed list of what she wants me to do so I can pull it out and show whoever is seeing me at that visit. That would greatly reduce confusion. I don’t know. I’m going here because I wanted a less managed birth experience and I wanted to just be normal(ish). But I guess that’s not really working for me because A) anxiety, B) is this really standard care? You just assume the baby is healthy and you don’t like, actually check? Not even a quick listen to the heart? I was under the impression that the *anatomy* was checked on *anatomy* ultrasounds. And C) I’m tired of being treated like a weirdo who is taking some kind of really scary, unknown drug. I feel like some Drs hear the word “anticoagulant” and they just freak out. I know it’s not every pregnant woman’s experience but it doesn’t make me some anomaly. I mean, enough women out there are taking Lovenox that it shouldn’t be that confusing or hard to manage….. I don’t know…. maybe I am just really good at picking the ones who don’t understand it. Thankfully, my primary OB is on board, but I have to cycle through the other Drs so I have to keep explaining the same basic stuff to every Dr. And they don’t all manage care the same way. So she tells me one thing and the next Dr is completely unaware of that plan. That’s why I need a printed and signed plan of care from her. To get everyone on board! Because I will seriously flip out on the next person who remotely suggests that I quit taking Lovenox. I will. Flip. Out. I was going to combine this with my weekly update but it’s way too long. I’ll just leave this here and I do apologize for being so venty. I just need it off my chest I guess…. What do you think? Am I being too crazy? Sometimes I look down at my belly and I’m kind of caught by surprise. Wow! There is actually a little person in there, growing and living their life. Stretching, kicking, rolling, sucking his thumb, sleeping and waking up, having hiccups… even going pee, if everything I’m reading is correct for this stage. That’s amazing! Because most of the time, I don’t really feel like all of this is going on in there. I mean, I know it is, but I’m just going about my day, rushing to get stuff done, focused on a million other things…. and I look down at my belly and I’m just struck by the wonder and the miracle of life. It’s truly a gift. Every moment. Weight? I actually forgot to weigh myself today. Earlier this week I was +11 pounds. Baby and maternity buys? I’ve started buying a few more maternity/nursing items. I had almost no summer maternity clothes since I was so small with Tru, and with Levi, I was pregnant during the winter. So, I’ve ordered a few more shirts online to come in next week. I hope they fit! I have bought 1 pair of capris and I’m making do with those and maxi skirts, but ideally, I hope to get a couple more pairs or maxi dresses. I’ve bought lots of nursing bras. I found a bunch on clearance for $2-3.50!! Talk about a bargain! I don’t know how much more the girls are going to grow though… I may have to switch entirely to stretchy sleep bras full-time like I did when I had Levi. I just couldn’t find comfortable nursing bras anywhere over a D. I’m super picky though. Best moment? This morning I asked Levi “Why is my belly getting so fat?” And he smiled and pointed at it and said “There’s a baby in you body! !” which just melted my heart. I think he actually gets it now. I mean, I’m sure it confuses his little 2 year old self, but he knows there is a baby in there and it’s growing and it kicks my belly. I’m really looking forward to the boys being able to feel the baby but so far, they don’t have the patience to hold their hand there that long. Next appointment? This coming week at 18+3 is the anatomy scan and check up. It’s over 5 weeks between appointments this time but I feel like it went pretty fast! I do want to ask the Dr about the baby’s heartrate. I have recorded a clip for her where it’s skipping beats. I remember the boys both doing that and it resolved, but just to be safe, I want to run that by her since this is happening all the time. I really want to get an update posted about Truett. I decided to stop monthly updates at 3 years old, but I feel like I need to do an annual update or something. This little boy is growing and changing so much all the time and I feel like I’m cheating myself by not writing all his cuteness down. And I need to do a general life update too! Dear God, thank You for another wonderful week. For how well I’ve felt and for all the kicks and movement I’ve been able to enjoy this week. I pray that this sweet baby will continue to grow and be healthy and strong. I pray that our appointment and ultrasound will go very well. In Jesus’ name, amen. Before we get to the weekly update stuff, let’s start with the news you’ve all been waiting for! We had our gender ultrasound at the elective place this week at 15+4. It went very well. The lady who did the scan was so very sweet and even gave us a surprise peek in 3d/4d even though it wasn’t included in our package. And I think she spent longer than the advertised 10 minutes with us. She checked and double checked and checked again for the gender. Baby was sitting on it’s leg and had a bunch of cord right between it’s legs so it was a bit hard to see. It took me the longest time to see what she was pointing out because baby is still so tiny and the gender isn’t clear to the untrained eye like mine. But the tech seemed quite confident that she could tell what it was. Without further blabbing and torturing you…. 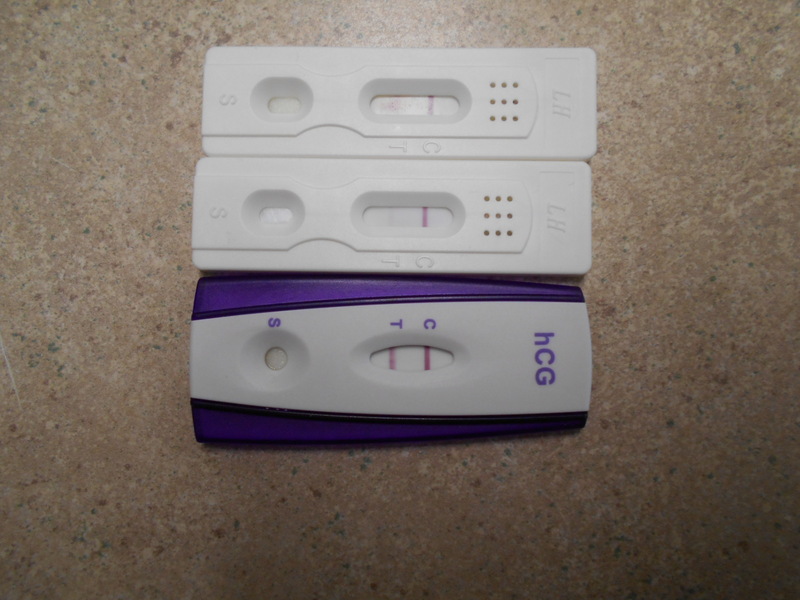 Baby number 3 is a…. It seems that DH and I only grow boys! We are very excited to add another little man to our family. 🙂 The boys went with us to the ultrasound and it was a fun experience to have as a family getting to see the baby all together. So happy!!!! How far along? 15 weeks 5 days (6-2-17) Posting this late. Symptoms? I don’t think anything has changed since last week. I have felt really well for the most part. Some days I’m lightheaded and some I feel fine. I think a lot has to do with how hydrated I am. I have some queasiness, mostly at night, but I think it has more to do with my faulty gallbladder (found out last year that I have gallstones) than anything else. I noticed that greasy stuff sets off my nausea and I feel better if I avoid that as much as possible. Bump? I FINALLY feel movement! I feel like I’ve been waiting for ages to feel it. Here’s the thing though… I have to be laying still and concentrating on it. I finally just laid down while the boys were taking a nap the other day and I put my hand on my belly and laid still and quiet. Within a couple minutes I felt a couple kicks!! They were strong enough that I could feel them from the outside with my hand. This was actually the second time I had felt his kicks with my hand but I needed it to happen again just to be absolutely sure it was him. I just never really take/have time to lay there and pay attention long enough to feel anything. So I’m making a point of it to lay down and focus at least once a day and feel this sweet little baby moving around and talk to him. I feel like this is our time to spend together and it’s important! We don’t have a name picked out for this little guy yet. I am pretty sure the middle name will be Trey but I don’t know what first name we will go with. It’s hard because the names that I like don’t have special meanings and because we gave Tru and Levi names with such great meanings, I would feel bad to not do the same for this baby. I’ve looked through a TON of names and I just haven’t really bonded with one yet. The search continues…. Dear God, thank You so much for this little baby boy growing inside me. Thank You for his kicks and for all the love and joy he has already brought our family. Please bless his life and his calling that he will grow up to love and serve You. In Jesus’ name, amen.